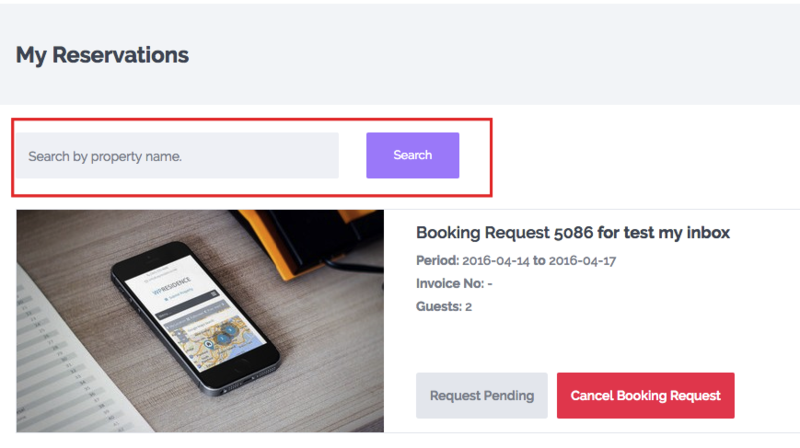 This page lists all reservations made by the user (pending, pending invoice payment or confirmed). 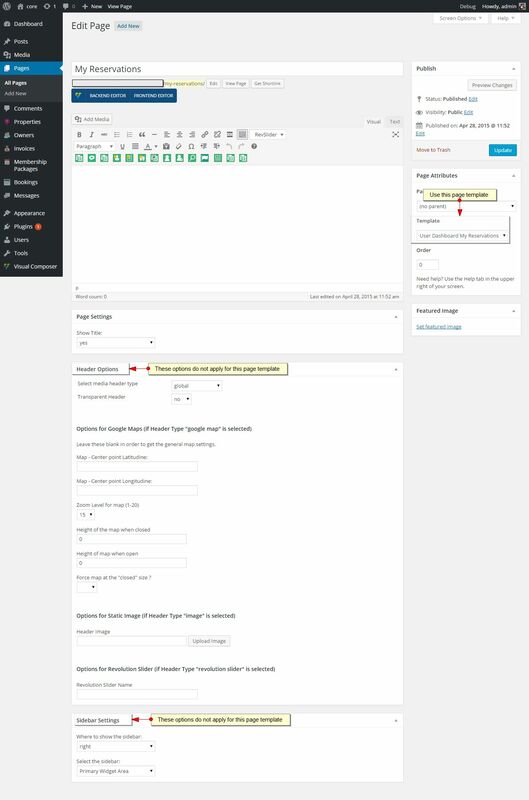 This is how the page looks in the front end, with a reservation pending property owner confirmation or rejection. 1. A reservation for which property owner has already issued the invoice. This user must now pay the Admin FEE to confirm booking. The user can still cancel his booking request at this point. 2. 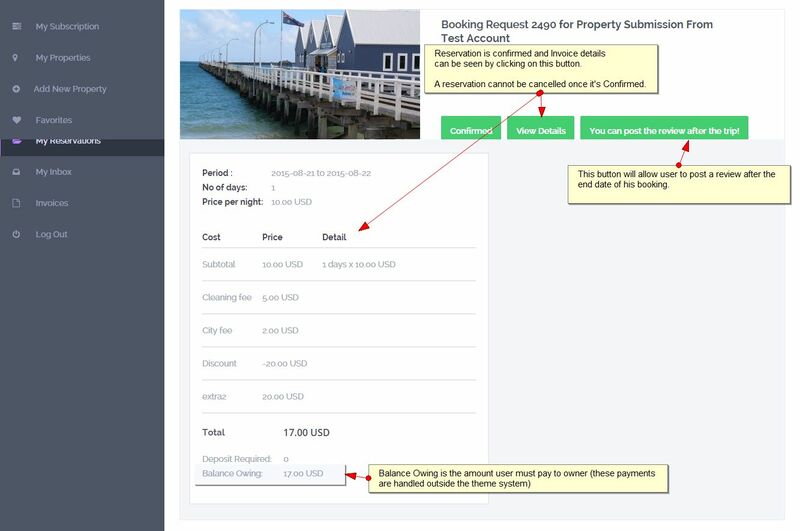 A reservation confirmed, which means the user has paid the Admin fee (if admin requires that) or the invoice was just issued (if admin sets his fee to 0). At this point, the user can VIEW INVOICE details. 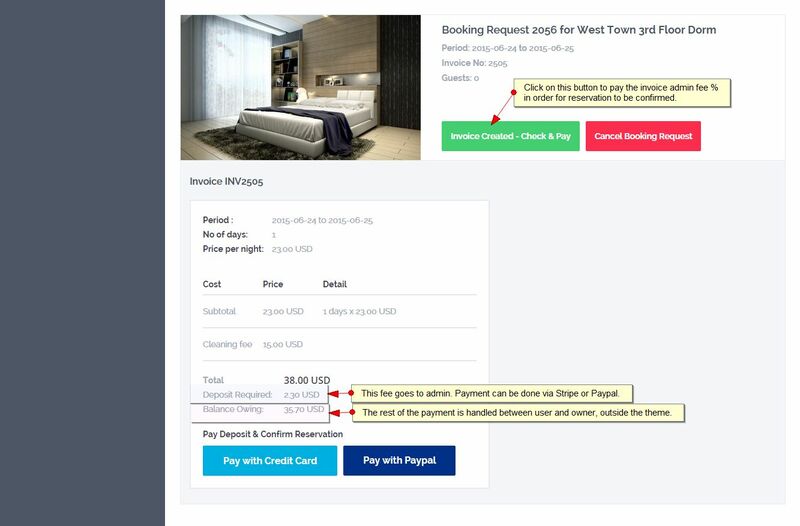 Please see How Booking Works chapter to understand the entire flow of the booking system in the theme. Search reservations in user dashboard by property title/name.